China Foreign Teachers Union: 2016 Scam Alert: China Foreign Teachers Union Issues Beijing Fraud Alert! 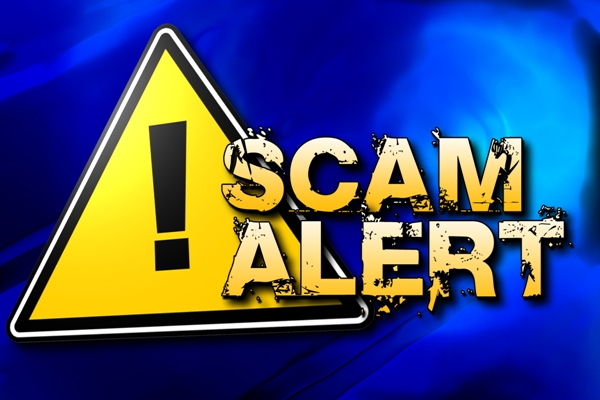 2016 Scam Alert: China Foreign Teachers Union Issues Beijing Fraud Alert! Before accepting a job interview be direct on the telephone and ask straight away "Are you an agent or Direct Employer? If they say "direct employer" then ask what is the name and location of the school. If it a direct employer they will tell you. If however it is an agent posing as a direct employer they will not tell you. Visit these two other links before going on an interview and remember our golden rule: DO NOT ACCEPT ANY POSITION THAT PAYS LESS THAN 250 YUAN PER HOUR IF YOU 1) ARE A NATIVE ENGLISH SPEAKER FROM AMERICA, CANADA, AUSTRALIA OR THE U.K. OR 2) HAVE A BACHELOR'S DEGREE. Here are the other two links that will help you stay safe from employer and agent abuse. kindergartens) are not actually licensed to have foreigners working in them. I could go on for hours, though, about all the situations Worlda has put its teachers in, but the most important thing I would like you to know is that they are a horrendous operation that, I hope, will be shut down eventually. direct contract with the school. This means higher salary, no communication issues and a far more enjoyable position overall."). way, and began avoiding our phone calls altogether. teachers in an organisation with a reputation as tarnished as Worlda's, and for blatantly lying on their website and making lofty promises they have no intention of keeping. I was scammed by Worlda Guangzhou Cultural Educational and Consulting Services, Ltd. as well. The current manager (highest level I encountered) was going by the name "Sophie". Under her was "Maxwell Lu" then "David", "Cassie" and so on. The position as a subject teacher in Foshan we discussed was basically a fake. After this was apparent, I argued for a reduced contract time and demanded the position be a subject teaching position which was (sort of) granted in a memo with more tricky wording. Then, it was back to "training" the next day with no mention of the subject teaching (only some mock English lessons with adults disturbingly pretending to be students and requesting that you act in a ridiculous fashion). The whole atmosphere from the deceptive way they lure in teachers to the threats they try to make when you consider leaving made me sick. I agree this company should be shut down and what they are doing is nearing the edge of human trafficking. I urge anyone reading to not pass over the comments and write them off as a few disgruntled employees as I did. Now I am online trying to warn others. I urge anyone that has been scammed by this organization to contact the foreign affairs administration of the province you were recruited for and also the nearest embassy of your home country. This kind of corruption has to stop. It is true that the position we agree to offer you changed after you arrived in Guangzhou. That was because the school changed their plan, since the students had been waiting so long time after your arrival. However in fact I think we agreeed to short your contract as a 6 months one. And you made the desicition to stay with us and continue the training for the new postion. But just on the 2nd day of the training, you just left without any notification, just told us you were sick and would go back to USA. Then the the "Worlda' scams" are anywhere on the websites,which named by "GuangzhouWorldaScam" or "ScamKnight " . I think we are always trying to talk with you, but you refused. But I don't think it is wise you are now trying to solve the problem. However our door is always open to you. If you have any trouble to enter China, we are still willing to help you. What utter rubbish. Looks like you do this to a lot of your teachers. Too many lies. Why don't you pay your staff? Do you think foreigners are beneath you? I worked at Worlda. I lasted 6 weeks before asking to be released (which I wasn't). They promised me a high school and instead I got a first grade. It turned out to be the same with most of the new teachers: promised a high school, got a kindergarten or 1st grade. There were two teachers of the 20-25 whom I know for sue face the same situation (placed in a school not legally allowed to have foreign teachers, police called, faced possible deportation, etc). In one case, a dissatisfied Chinese teacher called the police and the teacher was detained at the police office where he was forced to sign a document stating he had broken the law and would face deportation if caught again. In the other situation, a Chinese vice-principal who had been fired the week before called the police to inform on the foreigner. The principal had some teachers hide him and then sneak him back to his apartment where he stayed for several days before Worlda refused to pay him unless he returned to work. He eventually got a new position but this one also turned out to be in an area forbidden from having foreign teachers. The "training" is from people with zero to one year of teaching experience and they regularly (4 out of 5 days in my experience) come in in order to critique you on your teaching. Kind of funny to see a few goons with no teaching experience critique a certified high school teacher from the US with 10 years of experience. I worked with WORLDA and long story short, I can't return to China, they are awful company please AVOID! they lie, cheat you out of most of your salary. Can you just tell the details of the story, why they deducted your salary for no reason? I hope we make make it clear publicly over here. Again, we are still willing to talk with you about the visa issue now. We can talk with the Government for a revocation. But you just "lost contact", we have the responsibility to inform the government of the fact. Thanks to all of you out there sharing your thoughts! I'd love to get more information from you about your experience with Guangzhou Worlda. I'm currently collecting information about this organization and its illegitimate business practices and compiling it on my blog, guangzhouworldascam dot wordpress dot com. I look forward to hearing from you. You can leave comments on my blog or contact my via email at protectingteachers at outlook dot com. Worlda is the biggest scam going. Scam artists who employ intermediaries in other English speaking countries yo find victims to bring to China on the promise of a job, once you are there, they then don't pay your wages and you can't do anything about it, because they bribe the police! Also have seen foreign teachers being physically attacked by 'recruiters' at this company and then thrown out of the country because they are gay. Stay well away, especially when there are so many legitimate companies out there.